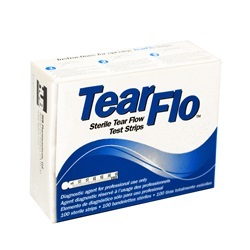 Tear Flo sterile diagnostic test strips are used to diagnose dry eye syndrome. 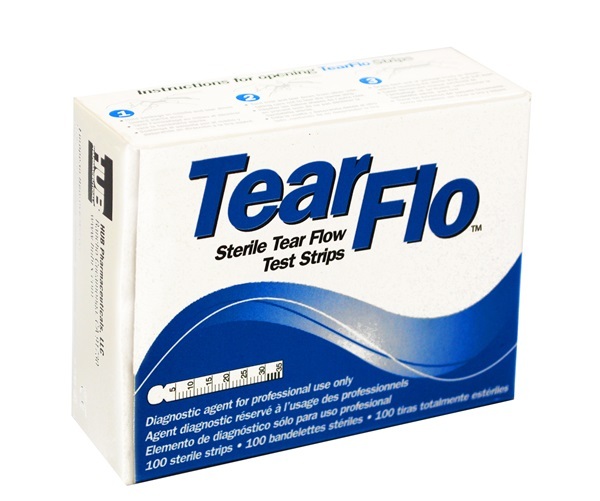 These paper strips are inserted into the eye to measure the production of tear flow. The high-quality filter paper is reported to cause less reflex tearing than other similar products. Generic version of the Schirmer strips. Manufactured by HUB. Comes 100 strips per box.